Meeow! Just in time for Halloween! Maybe instead of a short hair breed, you want to be a shaggy kitty this year. 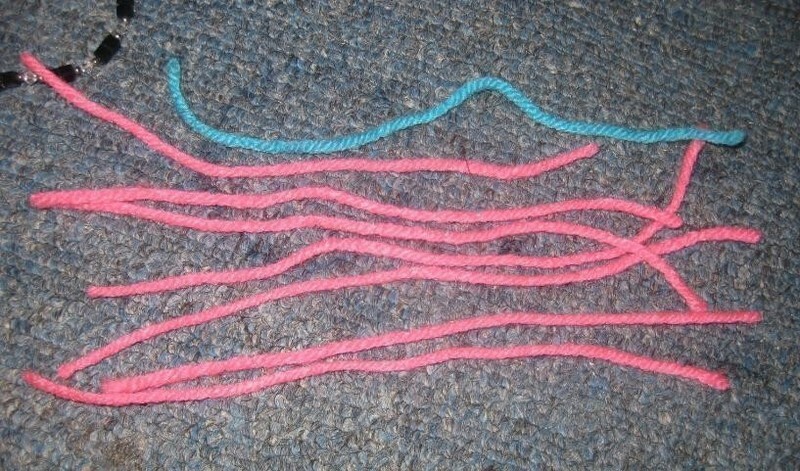 First, cut 9 equal length pieces of your base color yarn. A good measurment to have it at is from your waist to a little past your knee. 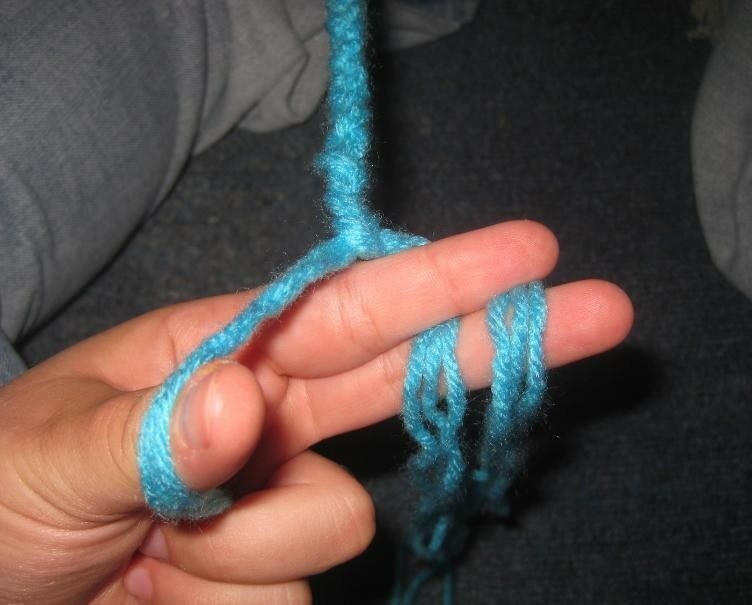 Using all 9 pieces, tie a knot at one end of the yarn. Seperate the pices into groups of 3 (you should have 3 sets!). 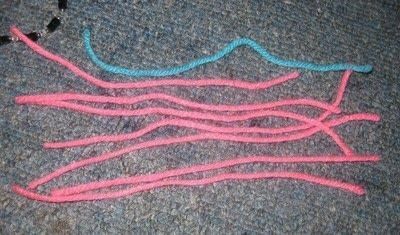 Braid them down the length of the yarn. When you have about 2 or so inches left, tie a tight knot with all 9 pieces like you did for the top. 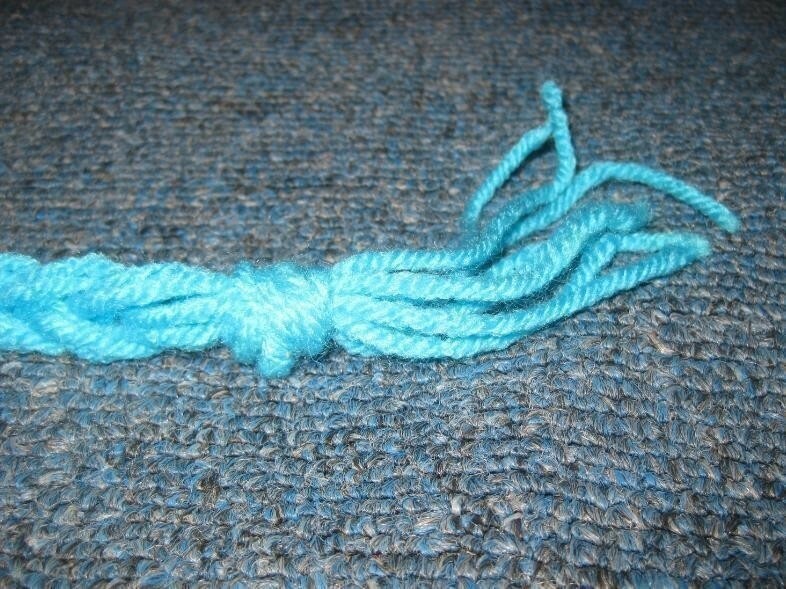 This is the core of your tail. 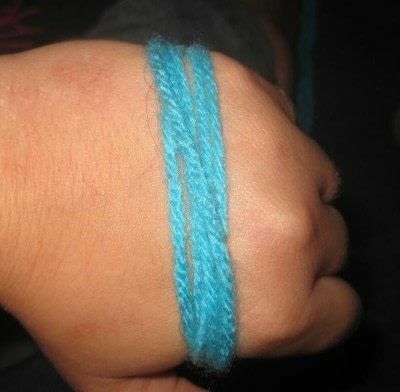 Taking your choice of colored yarn skein, wrap the yarn about 20-30 times around your hand. Cut one side of the yarn. The resulting fringes will be the bulky fur of your tail. 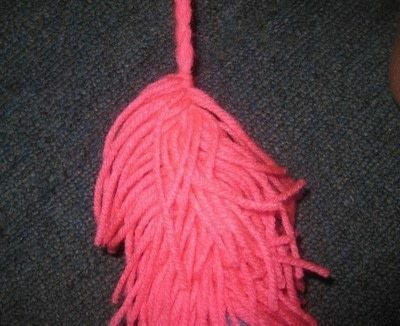 Take one or two of the fringe pieces and tie it right above one of the knots. This will be the bottom of your tail. 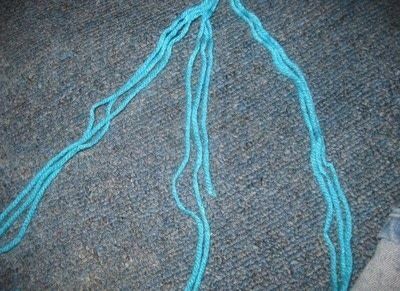 Continue to tie strands one above the other. It may start off thin, but trust me, it will bulk up as you add more. To add spots or stripes, simply replace your base color yarn with an accent color. 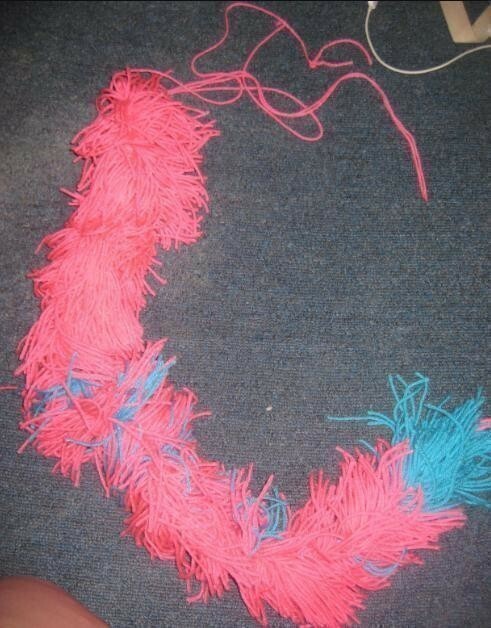 When you have filled up the braid with all of your fringes, take another strand of yarn, ribbon, string etc. and measure it to your waist. There are two ways to attach the tail to the support. 1.) 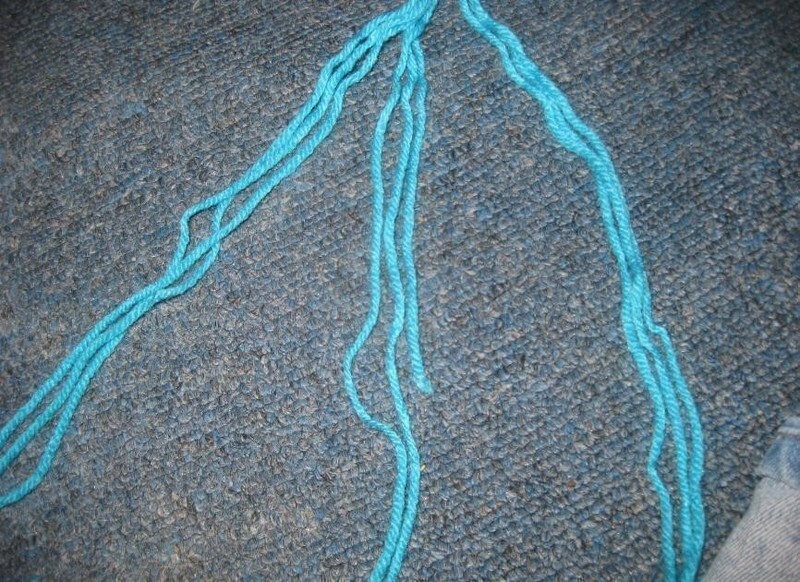 Using the darning needle, thread the yarn through the top of the tail braid, right below the knot. 2.) Take your pre-measured waist ribbon, fold it in half. 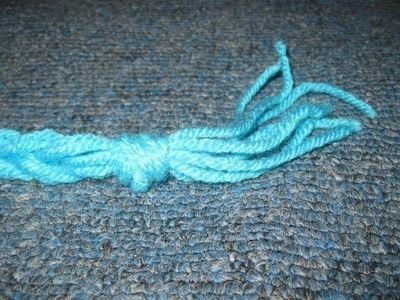 Tie a knot with the halfway point around the top of the tail. Et voila! Une tail de chat! yay! cnt wait to make one!!! Oooh! Then you'll have to paint a smile as wide as your face! wooow this is smart and awesome!!!! thank you for your tute and sharing;-D love it!! !